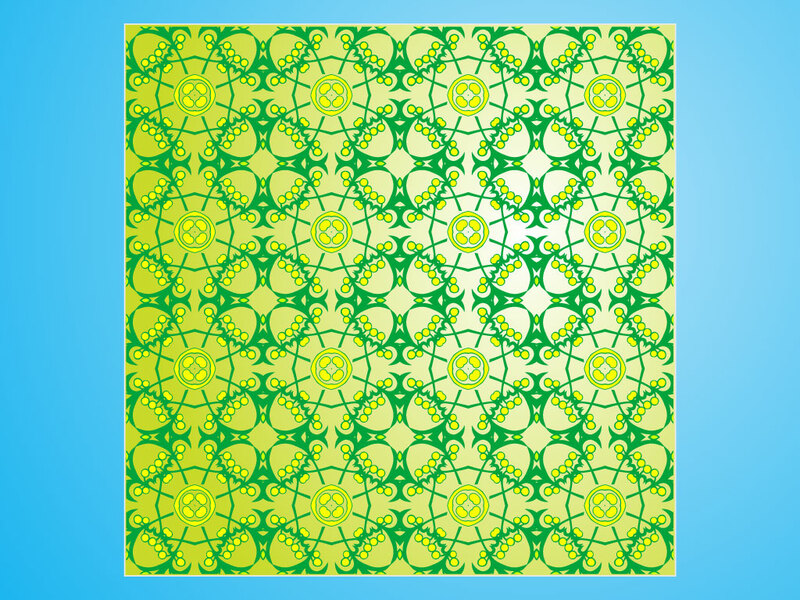 This green and yellow decorative pattern is ornamental and abstract but has a very organic and floral aesthetic. The pattern brings to mind many different shapes and objects and will be a great background or repeating tile. Tags: Brochure, Flora, Floral, Flower, Green, Nature Pattern, Plants, Resources, Seamless, Spring, Summer, Vector Pattern, Wallpaper.